After an amputation, patients have to consider what type of prosthesis they would like to use and would be appropriate for their activity level and lifestyle. A decision needs to be made whether the arm prosthesis will be more functional or whether a natural appearance will be emphasized. If greater emphasis is placed on the appearance and wearer comfort, for example, we offer a selection of passive arm prostheses that are visually appealing. However, their functionality is limited to that of a simple counter-support when handling objects. When designing Ottobock cosmetic hands, which consist of an inner hand and an easy-to-care-for cosmetic glove, we included many features to replicate your natural hand in great detail. Forty-three models for children, women, and men are available for custom adaptation. Each model is available in selection of 18 natural shades.Your prosthetist will be happy to provide you with more information about the use of passive system hands. We’ve designed our passive arm prosthesis to look just like a natural arm and hand. And with 18 different natural shades, you can be sure that your cosmetic glove will be a lifelike match to your skin tone. 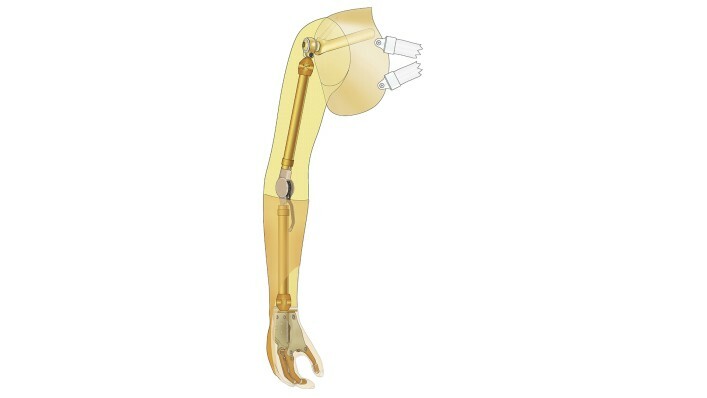 Because there are no active functional elements, our passive arm prosthesis is very lightweight, making it especially well-suited for high amputation levels.